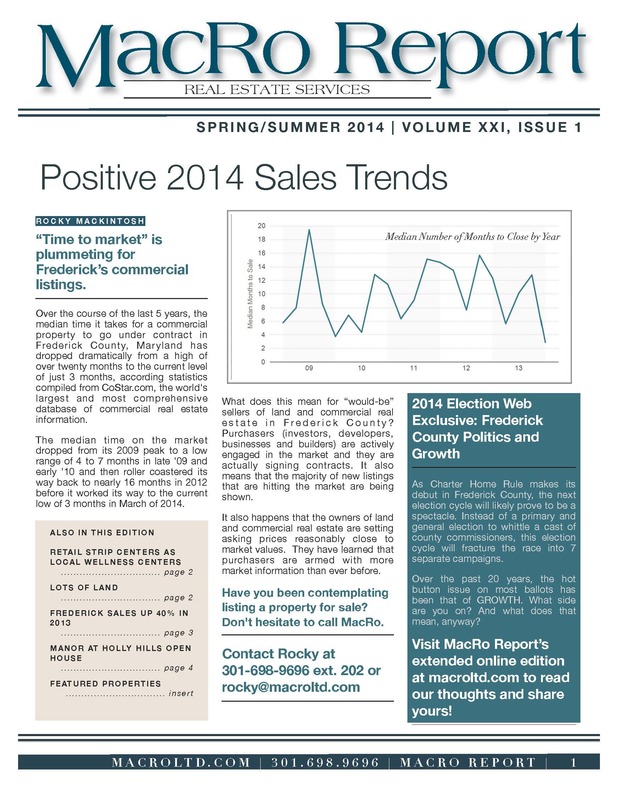 Spring has sprung and Frederick County Maryland CRE is on the rise. 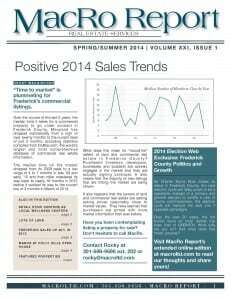 With 2013’s sales up 40% and land prices steady climbing now has never been a better time to shake off the real estate winter hibernation. Like the old real estate mantra, “location, location, location”, the new medical business model will also have a similar mantra: large, local, and logical. How do medical practitioners and investors locate large affordable structures that can service the community and make financial sense? While the real estate market experienced an “enhanced” cycle over the past ten years, the lot and land sub-sector has been subject to even greater volatility – like a business cycle on steroids. A question often asked is: where in the cycle are we currently and what is the market value of my land? 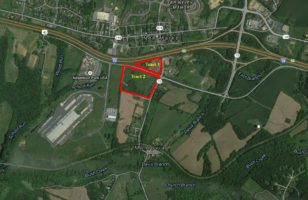 Frederick County posted $275 million worth of commercial real estate sales during 2013 versus a little over $190 million in 2012—a healthy 40% increase in dollar volume. While two years is hardly enough data to begin tracking trends, it is encouraging to see sales growth in the short term heading in the right direction—up!